According to official data released by UP police, there have been 1,144 encounters in the state between March 2017 and January 2018. Chief Minister Yogi Adityanath has given the police a "free hand" to deal with criminals and improve the law and order situation in the state. Lucknow: Notorious thugs, gangsters and 'most wanted' criminals now voluntarily report at a police station in UP. They have sworn not to indulge in criminal activities and have taken a pledge to lead respectable lives. Some have even promised to help the police speed up their investigations. Yes, you read correctly, and no, this is no April Fool story. Hardened criminals in and around Uttar Pradesh's Sitapur district have been "marking their attendance" at the Laharpur Kotwali police station; "some even sleep here at night," says Anand Kulkarni, the Superintendent of Police. "Criminals of Laharpur Kotwali have started marking their attendance at the police station. Some even stay there during the night and also help police in the investigation. They have pledged not to indulge in any crime and police also appreciates their reformation," Mr Kulkarni told news agency ANI. Around 20 criminals, whose names are recorded with the police, are listed as "dreaded". Some of them even have cases of murder registered against them. According to the senior police officer, the change in the attitude of these hardened criminals have come because the current state government headed by Yogi Adityanath has given the police a "free hand" to deal with criminals and improve the law and order situation in Uttar Pradesh. Uttar Pradesh figures among the worst states in terms of law and order. 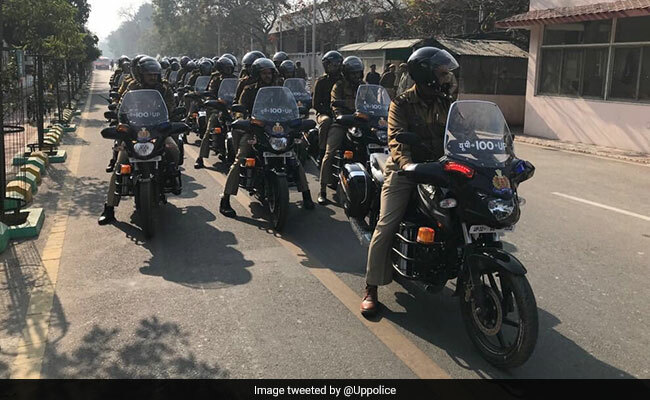 To improve the situation across the state, and to deliver on his poll promise, Chief Minister Yogi Adityanath said after winning last year's election that, "UP Police will have full freedom to deal with rising crime rates in the state." In the same speech he had warned criminals and gangsters to "either surrender or leave the state." According to official data released by the Uttar Pradesh police, there have been 1,144 encounters in the state between March 20, 2017 and January 31, 2018. As a result of these encounters, 34 criminals have been killed, and 2,744 others have been arrested throughout the state. Four policemen also lost their lives and 247 cops were injured. The encounters took place in Agra, Meerut, Lucknow, Allahabad, Bareilly, Gorakhpur, Kanpur, and Varanasi. Meerut topped the list, where 22 criminals have been killed, 155 were injured, and 985 were arrested as a result of 449 encounters. "Criminals now fear the police, and have started respecting the law. They are voluntarily marking their attendance on a regular basis," the superintendent of police said. "Some of the criminals are now even helping the police solve crimes by giving information which speeds up the investigation," the top police officer said.